A UFO (ovni Unidentified Flying Object) intrigues the owner who recorded the images of the phenomenon in the circuit security cameras for your property. A ball of light appears at approximately 30 cm from the floor and get stuck for 25 minutes, as shown in the images captured by cameras at the site. Evaldo Smith, property owner, was afraid at night when the phenomenon occurred. He was awakened by the barking of his dog, Branquinha, which was stirred. 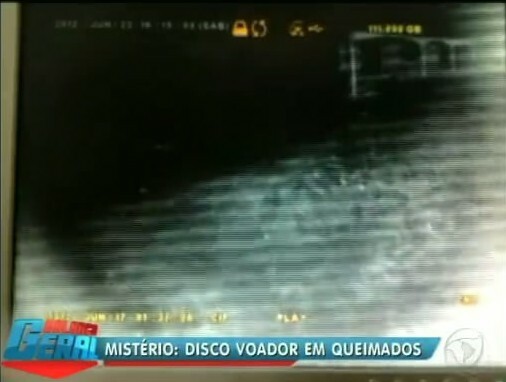 I woke up scared and went to see what was going on, it [Branquinha] is not barking so. I opened the window and saw the light. I locked the door and waited over. 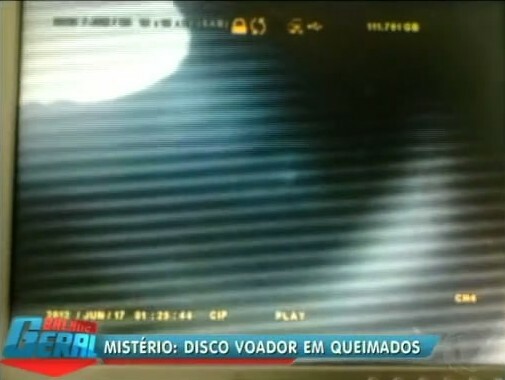 The ufologist Orlando Barbosa Junior, who was called to the site and saw the pictures, is sure that the phenomenon is a flying saucer. An imaginary illusion of a face! if thats what your mind wonts to see...........?